Meet our resident mascots who really keep this place running! They take turns supervising everything going on in the office (they think we couldn't do it without them!). Of course their favorite time of day is when the 5 o'clock whistle blows. Not because the work day is done, but because this is chow time! Our motto: Dogs in the workplace really liven up the day. 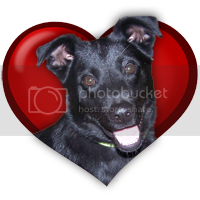 We proudly refer to our store as a labor of love ... the love of DOGS! After spending years in the gift industry, we have developed a unique way to blend our knowledge of retailing with a passion for helping rescued dogs. For the Love of Dogs, LLC allows us the flexibility to manage our time around business and the ever-changing needs of any dog in our care. The success of our store has helped us to provide financial support to the dogs we foster and local rescues. Our staff is passionate about dogs and each of us has rescue pets at their feet in their own homes. We love and support our local rescues - each of them is unique and believe in the concept of fostering dogs, providing proper vet care and carefully placing them with loving families with an emphasis on educating the community. So please come and browse our home decor shop .... we refer to our style as "Home Design with Dogs in Mind". While you are here, check out our "sister site"... A Love Of Dish Towels . We hope you enjoy our salute to that Great American Textile ~ The Dish Towel. Our staff is not only passionate about dogs, we are involved in various food ministries - soup kitchens, food pantries and Meals on Wheels to name a few. Cooking is in our souls and each of us has a special place in our heart for the kitchens of our childhoods. The dish towel evokes those memories of mom like nothing else can. Discover our amazing selection for every chef, home decor style and holiday! One can simply never have too many.